With Halloween and Fireworks Night just around the corner, we are approaching a time celebrated with parties, wild costumes and fireworks. While we are able to understand the reasons behind these celebrations, the same cannot necessarily be said for our pets. Unfortunately, our dogs and cats cannot grasp why it is that they are suddenly hearing the loud fireworks or seeing people dressed so strangely compared to normal and this extensive exposure to abnormal sights and sounds can lead to our pets becoming overwhelmed, stressed and anxious. Over the week leading up to Fireworks Night, allow your pets time to get used to the sounds of fireworks exploding; this can be either through the use of easily available CDs or by simply playing youtube videos - just remember to make sure to keep them at a low volume. 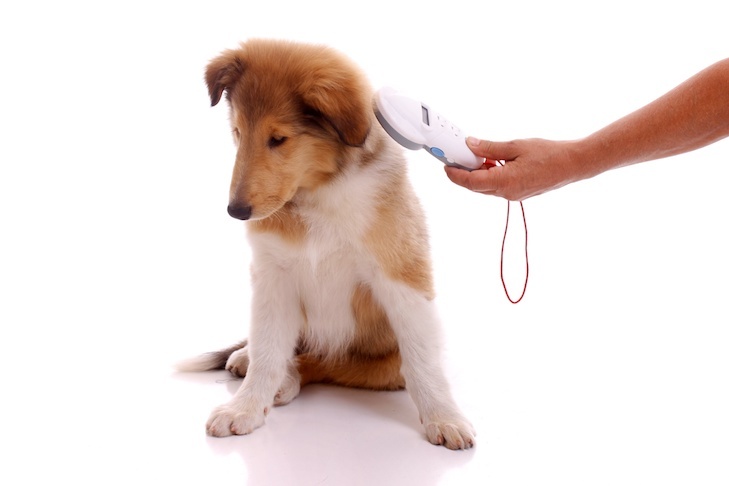 It is important for your pet to have been microchipped and on nights of higher risk, a collar with your address and phone number may also be beneficial. Not only is microchipping a legal requirement for dogs as of 2016, it is a vital measure in having your pets returned to you swiftly if they do happen to escape. This could either be a quiet den or as hiding places around the house that your pet can seek safety in; these safe spaces could include under the bed, a space next to the sofa or if your pet is crate trained, in their crate. Old unwashed clothes would make a nice addition to these safe spaces as your scent will help to calm down your pets. Try to walk your dog before the sun sets, so they are safely back inside before fireworks begin to go off. Another thing to bare in mind is that dogs are unlikely to eat their food when anxious and so bringing forward dinner time an hour or two before sun set may be helpful. Closing all doors and windows is an effective way of muffling the sound of the fireworks and shutting the curtains will block out the frightening flashing lights. Remember, whenever opening the front door, your pets should be in a different room so they can’t run out. 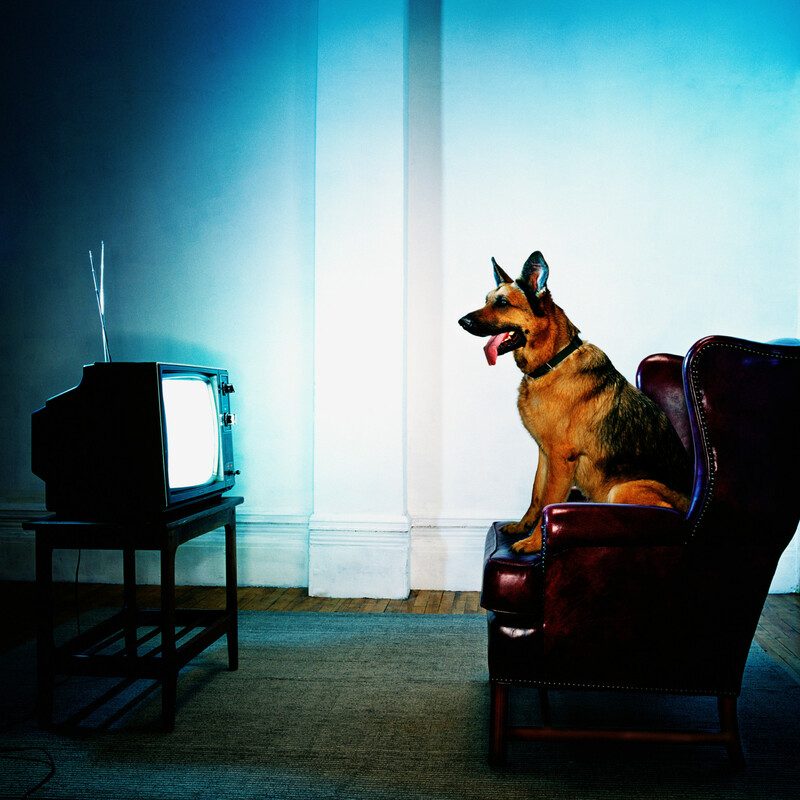 Keeping the TV or radio on will help to take your pet’s attention away from the scary noises. Having toys to play with in the same room as your pets will provide them another possible distraction. If your pets come up to you seeking affection, comfort them to calm them down and do not remove yourself from them where possible. However, if your pet retreats into its den/ crate, do not try to make them come out as it may give them more anxiety. Thanks to the RSPCA, The Kennel Club, The Blue Cross and Paurina for their great articles which we referenced when researching this article. If your family loves taking their dog on holiday to the continent with them, you could find it a little more challenging to take your furry friend along if the UK leaves the EU without a deal in place next year. The government has been issuing technical notices containing guidance on what would happen in the event of a no-deal Brexit. Among them is one relating to traveling with animals in the EU. Should the UK leave in March with no deal in place, British pets could come under the “unlisted” third country status. As a result, owners who want to travel with their pooches would need to carry out more paperwork before they could cross the Channel. The main change is the need to prove that a dog’s rabies vaccination has been effective. That would mean carrying out a blood test at least 30 days after the vaccination, and no fewer than three months before the date of travel. However, the BBC reported that the UK is pushing to become a “listed” third country under the pet travel scheme, which would eliminate the need for these extra checks. If you’ve got a trip planned with your pooch before the March deadline, as long as their passport is in order you’re good to go. Insurer More Than has put together a host of advice if you’re travelling to Europe with your pooch. It recommends speaking to your vet about any additional precautions you should take depending on the destination you’re travelling to. Making sure your pup also has access to water while you’re travelling is a must. If you’re driving that’s not such an issue, but it might be more of a challenge if you’re flying. You might also want to stock up on your pooch’s favourite organic dog treats to take with you to give them some home comforts while you’re on the road. Have You Heard Of The #BreedToBreathe Campaign Yet? The British Veterinary Association (BVA) has launched a campaign to encourage dog owners to avoid choosing appearance over welfare when they bring home their next pet, raising awareness of the issues that brachycephalic animals have to live with because of how they’re bred. In the last decade, there has been a steep rise in the number of these breeds here in the UK. Brachycephaly is a short skull shape which can give the appearance of a flattened face, affecting not just dogs but cats, rabbits and other species as well. Problems associated with the condition include overheating, regurgitation, sleep apnoea, eye disease, dental problems, skin infections and the inability to mate or give birth naturally, which Caesarean sections often required. The BVA has been speaking to media outlets over the last 12 months to raise awareness of these problems, as well as major retailers and organisations that use these breeds in advertising asking them to consider the health problems the animals suffer from. Animal lovers are now being asked to get in touch with brands directly as part of the #BreedToBreathe campaign, as well as keeping the conversation going using this hashtag on social media sites like Twitter. Last year, the BVA’s Voice of the Veterinary Profession survey found that there has been a significant increase in the levels of concern regarding breeds like pugs and French bulldogs, with 45 per cent of companion animal vets saying this, as well as pedigree breeding and conformational deformities, are among the welfare issues that worry them the most. Looking for organic dog treats? Check out our website today. Do You Understand Your Cat’s Meow? As any cat owner will tell you, our moggies can be vocal creatures and often it does feel like they’re talking to us when they meow. Writing a guest blog for Psychology Today, Ibrahim Raidhan, creator of catsloverhere.com, offered some insight into what your cat is trying to tell you when it meows. Firstly, he noted that cats predominantly meow at humans, rather than other cats. This is because they communicate differently with other felines and have realised that we can’t understand them in the same way. He went on to explore the subtly different meows your cat might make during a day, and unpicked what they (generally) mean. So, a short meow is often a hello greeting, while a meow at a mid-pitch is usually a plea for something, such as food or attention. A high-pitched meow, meanwhile, will usually signal anger or pain. Mr Raidhan also pointed out that cats tend to meow much more when they’re stressed than when they’re content, so this could be a useful trigger to watch out for. Of course, you’ll learn to interpret your cat’s meows the more time you spend together and there will be other ways in which your moggie communicates too. An article for Insider last month explained that if a cat shows you its tummy, headbuts you, or twitches its tail at the tip it typically means it likes and trusts you. Make sure you keep your moggie in good health by giving it the cat nutritional supplements it needs in addition to its main diet. Broadreach Nature + will exhibit at this year’s Pup Aid in a show of solidarity for the Lucy’s Law campaign and its recent success in Parliament. The popular Pup Aid show, held at London’s Primrose Hill supports Lucy’s Law and promotes awareness about the cruel puppy farming trade. During the show, on September 1st, Broadreach Nature + will showcase their new, digitally printed gazeebo and display their natural health care products, from supplements to healthy doggy treats and chews. There will also be free giveaways on offer for anyone visiting their stand. Pet owners might be interested in signing up to a first aid course after being reminded that basic skills could help save the life of their beloved companion. According to the People’s Dispensary for Sick Animals (PDSA), many people do not know the simple steps they could undertake to stabilise their pet in an emergency. It’s always wise to take care when walking your dog and keep your ears to the ground so you know if there is anything that could put your pooch in danger in your local area. The British Veterinary Association (BVA) has warned people who may be going for a stroll with their precious pups in the Lake District, Scotland, East Northamptonshire and North Lincolnshire, among other areas, that there may well be toxic blue green algae present. XYLITOL- a deadly danger to your pet! From sugar-free chewing gum to toothpaste, sugar free peanut butter, sweets and cereals, these many products are perfectly safe for humans but because of different metabolisms can be deadly for your pet. Xylitol if ingested by pets causes a massive release of insulin from the pancreas. This, in turn, results in a dangerously low blood sugar level and symptoms such as weakness, trembling, seizures, collapse. At higher dosages, xylitol can cause massive liver destruction (known as necrosis) in which large numbers of liver cells die abruptly. This produces an acute health crisis and, in many cases, death. Staffordshire Bull Terriers won’t be included on the dangerous dogs list, despite animal rights charity PETA submitting a proposal to the consultation on the Dangerous Dogs Act 1991 concerning the breed, saying its inclusion would help protect it from abuse. According to iNews, PETA’s argument was that adding Staffies to the list would help to protect them from gangs, abuse and crime. According to the charity, the breed is the most likely to be abducted and used by gangs, either as guard dogs or for fighting rings. Staffie owner Steve Quinn launched a petition after PETA submitted its initial proposal, calling on the government to reject it – with his petition quickly garnering 160,000 signatures in support. He explained that there are many people in the UK who have the pleasure of owning this type of dog and from his own personal experience he can say that they’re “loving, loyal and caring, far from dangerous they are great companions”. He went on to observe that people “are the problem” since people “create dangerous dogs”. Currently, it is against the law to own certain types of dog here in the UK – pit bull terriers, Japanese Tosas, dogo Argentinos and fila Brasileiros. It is also against the law to sell, abandon, give away or breed from a banned dog. But interestingly, whether or not your dog is banned depends on what it looks like, instead of its breed or name. So, for example, if a dog matches lots of the characteristics of a pit bull terrier, it may actually be banned. Should you have a banned dog, be aware that the police or your local council dog warden can take it away and keep it even if a complaint hasn’t been made or if it isn’t acting dangerously. If the dog is in a public place, the police don’t need a warrant but if it’s in private property, they will do. Either the police or a council dog expert will judge what kind of dog you have and decide whether it is, or could be, a danger to the public. It will either then be released or kept in kennels while the police apply to a court. You will not be allowed to visit your dog while you await the court decision. Another point to bear in mind is that you can give up ownership of your dog but you cannot be forced to. Should you choose to give up ownership, your dog could be destroyed without you even having to go to court. Stock up on healthy dog treats on the Broadreach Nature + website now. There’s nothing like a mini heatwave and a spot of much-needed sunshine to put a smile on the faces of everyone, is there? But if you’re a dog owner, you do need to be aware of the dangers of leaving your pooch in a hot car all by itself. Over the last Bank Holiday, the RSPCA received 217 calls from concerned members of the public about dogs left locked in hot cars across England, approximately three calls every hour. Holly Barber, RSPCA campaign manager, explained that dogs can die in hot cars, yet people think it’s fine to leave their pets in vehicles for a minute or two… when this is all it takes for temperatures in a car to reach dangerous levels. If you do see a dog in a hot car and you think it’s an emergency, dial 999 to report the matter to the police. The RSPCA may not be able to get to the animal quickly enough and the charity also doesn’t have powers of entry so police assistance may be required. Should the dog be suffering from heatstroke (signs of which include excessive drooling, lethargy, collapse and vomiting), move it to a shaded area once it’s out of the car and pour small amounts of cool water over them. Never use cold water as this could send the animal into shock. Allow the dog to drink small amounts and once he’s cooled down, rush him to the vet as soon as you can. If you decide you need to break into the car yourself, make sure that unless you have proper justification it could be considered criminal damage. Always tell the police what you intend to do and why, and take photos or videos of the dog, as well as names and numbers of any witnesses to the incident. In summer, especially in the heat we've had so far, it's not always possible to walk your dog during the day, so having a supply of healthy dog treats to keep them stimulated is really important. If you don't, their behaviour could deteriorate through boredom alone! It’s important you keep walk times to the cooler parts of the day in the morning or evening when the sun is down, avoiding midday when temperatures will be at their hottest, but this isn't the only way you should care for your dog during a heatwave – check out these tips from BT.com for more ideas. Make sure plenty of fresh water is available to your pet and pop some ice cubes into their bowl to make sure the water stays cold and refreshing. Dogs do love to sit in the sunny spots in the garden, but if you can encourage them to sit in a shady spot by laying out a damp towel to keep them cool and avoiding excessive exposure to bright sunlight. Another great way to keep your dog cool is to put a paddling pool in your garden that they can go in and out of – they're sure to have a lot of fun, but check there are no water restrictions in your area before filling up. Dogs can still get sunburn so purchase a pet friendly sun screen and apply to the hairless areas of your pet such as nose, and exposed area of the ears. When you do choose to walk your dog on a hot day, even at cooler times, it can still be very warm. Avoid pavement that has been exposed to direct sunlight as it may burn paws. Always check the temperature of the pavement with your hand before heading out on a walk. What Does Your Dog Or Cat Really Want To Eat? There is a lot of information available about what dogs and cats should be eating on a daily basis, and also on what they want to eat. Now researchers in the US have carried out a study designed to find out what kind of food dogs and cats prefer when flavour is taken out of the equation. The team at Oregon State University (OSU) offered canines and felines four food choices: high fat, high carb, high protein and balanced, all of which were designed to taste the same, KTVZ reported. Each of the dogs and cats was allowed to eat all they wanted up to a predetermined calorie intake, and the results were interesting. On average, cats chose to get 43 per cent of their calories from carbs and 30 per cent from protein. Dogs, meanwhile, typically chose to get 41 per cent from fats and 36 per cent from carbs. However, author of the study and professor in the Carlson College of Veterinary Medicine at OSU Jean Hall explained that the age, lean body mass and fat body mass also played a part in the animals’ dietary choices. When you start looking at your pet’s diet, don’t forget to consider the benefits of natural health supplements for pets. Markets Insider recently offered some advice to dog or cat owners who have picky eaters, noting that you should make sure you’re not offering your companion too much food at meal times and that they’re not getting more than ten per cent of their daily calories from treats. If you have a prized pooch at home, do make sure that you leave your house secure when going out and leaving your pup home alone, as thefts of expensive dogs are on the rise in the UK – and we here at Broadreach Nature+ would hate to think that one of our lovely customers’ pets has been dognapped. A new Direct Line Pet Insurance study has found that one of the most popular targets for thieves at the moment are French bulldogs (now the UK’s favourite breed of dog), as well as Labradors, Staffordshire bull terriers and crossbreeds. Experts say that these pets are now being pinched for either selling on elsewhere, breeding or illegal dog fighting – which is why such cases are on the climb. According to the Daily Express, 61 French bulldogs were stolen in 2017, a 27 per cent hike year on year. The husky is also proving popular, with a marked rise in cases being seen – perhaps down to the interest in shows like Game of Thrones. Staffies are still the most targeted dog, with 210 pinched last year, although this does represent a 15 per cent drop. Crossbreeds like puggles and cockapoos are also being targeted, with 82 such breeds taken in 2017. Regionally, London, West Yorkshire and Kent are the places where dogs are most likely to be stolen so if you do live in these areas please do take extra care with your precious pooches. Head of pet insurance at Direct Line Prit Powar was quoted by the news source as saying: “Having your dog stolen is one of the most distressing things a pet owner can face, particularly as animals are often considered to be members of the family. “There is no excuse for the theft of an animal but some of the reasons behind dog theft include using the animal for dog fighting, breeding or selling on.” He went on to advise pedigree pet owners to be particularly cautious. It would be awful for this to happen to anyone but if it does happen to you, head to social media immediately to make your dog too hot to handle. There have been cases where dogs have been returned anonymously and on the quiet to their owners after thousands of shares on sites like Facebook. In 2016, for example, a cocker spaniel and five puppies were returned to owner Craig Vaughan after the incident was shared hundreds of times on social media all over the UK. According to ITV News, the thieves unscrewed the door of a kennel where the dogs were and made off with them but Mr Vaughan believes that the public outcry online meant the animals couldn’t be sold on because of all the publicity. Want to stock up on dog chew treats? We have plenty in our online shop so pop over to take a look. Broadreach Nature + is committed to the Health and Wellbeing of Pets by not only offering the best possible natural products for Customer’s Pets but because we also care about the environment and want to leave as light a footprint on it as possible. If you would like to know more about our focus on Environmental Wellbeing visit the page here. If you were hoping on taking your pet pooches off for a fun stroll on your local beach, make sure you check that you’re still allowed to or you could find yourself slapped with a £75 fine. Numerous coastal counties around the UK have implemented bans on taking dogs for walks on beaches, including Somerset, Devon, Dorset, Northumberland, Essex and Lincolnshire – with the restrictions in place from May 1st to September 30th, the Daily Express reports. Local environment services team leader at North Tyneside Council Marcus Jackson explained that the beaches are one of the region’s biggest attractions and they have more awards than anywhere else in the north-east. In order to protect this, a dog ban has to be brought in during the summer, he went on to say. It’s a good idea to check with your local council to see which beaches are bringing in bans before you take your pups for a walk, otherwise you could be met with a nasty surprise in the form of a fine. Also have a look at The Beach Guide website which has a list of dog-friendly beaches in the UK, some of which let you walk your pooches all year round. Looking for coconut oil for dogs? Take a look at our online shop now. Willow made it to the ripe old age of 15, which is certainly an impressive feat. The life expectancy of a corgi is between 12 and 13 years, so she really did do very well indeed. According to the Guardian, Willow was the 14th generation and a descendant of Susan, the first corgi given to the Queen on her 18th birthday way back when in 1944. This is the first time that the monarch hasn’t had a corgi by her side since the second world war – and she’s owned an impressive 30 members of the breed during her reign. But she does still have two dogs keeping her company – Vulcan and Candy. These are informally known as ‘dorgis’, a cross between a dachshund and corgi, who popped up in the royal household when sausage dog Pipkin (Princess Margaret’s pup) mated with one of the Queen’s woofers. You might well have recognised Willow, however, as she actually featured alongside the Queen and Danial Craig in the James Bond sketch that was put together as part of the opening ceremony for the London Olympics in 2012. Interestingly, the Pembroke Welsh corgi came off the Kennel Club’s at-risk list of breeds at the start of this year, the first time since 2009. The Kennel Club is putting this down to the popularity of TV show The Crown, with online searches for the breed jumping by 22 per cent after the second season aired. If you’re tempted to follow in the footsteps of Lizzie and get yourself a fun little corgi, do make sure you do your research first – as you would with any breed. There are several types you could go for – the Welsh Pembroke is small, with smaller ears and straighter front legs than the Welsh Corgi (Cardigan). The Pembroke is traditionally the more popular of the two, but it’s thought the Cardigan is in fact the older of the two types. Alternatively, you could look into the Swedish Vallhund, which looks a lot similar to the Welsh corgi. It’s thought by some that Viking raiders took some of the Welsh corgis back to Scandinavia with them, while others think that Vikings took the Vallhund with them to our shores and left some of them behind. Whichever you go for, bear in mind that corgis are very intelligent and highly active, so you’ll need to walk them a lot and keep them well entertained. They’re great with children and with other animals, and they’re a good first pet if you’ve never had a dog before. Do you need probiotics for dogs? Check out our website now. Over 1,000 sausage dogs and their owners took part in a special event to celebrate the dachshund breed last weekend, meeting at Manchester’s Heaton Park for a mass dog walk. Julie Barbour, a member of the North West Dachshund Owners’ Group, was the one who came up with the idea of getting as many of the region’s resident dachshunds together for a mass dog walk. She revealed that 1,239 sausage dogs took part, making it the largest such gathering of its kind to date. Looking at some of the photos, a few of them were dressed to impress as well, with some of the pooches sporting bowties, while others came in fancy dress. Although the event was a fun day out, it was also an opportunity to raise funds for two charities - The Red Foundation, which provides emergency rescue and fostering services for sausage dogs, and Dedicated to Dachshunds with IVDD. This charity offers support for the dogs of this breed who need treatment for abnormal intervertebral discs. It’s estimated that 25 per cent of all dachshunds develop this condition and need veterinary treatment as a result. Over £5,400 was raised in total for the two charities. Stuart Lockett, who took part with his family and their dog Lola, told the Bolton News that the event was “crazy”. “I have never seen so many dachshunds. Before we set off, there were still people registering. There were lots of dogs in costumes. It was a fun day with the family,” he said. Regardless of what breed your dog is, you’ll want to make sure they stay in the best of health, which is why it’s important to look into what dog health supplements may benefit them. Although you don’t have quite the same breadth of breeds of cats as you do of dogs, there is plenty to distinguish different felines from one another. Their colouration and markings is the most obvious - and in some cases it means that certain cats spend longer waiting to be adopted than others. In fact, it’s black and white cats - also known as tuxedo cats due to their striking monochrome markings - that tend to get overlooked by people adopting from shelters. An article in the Metro noted that cats with black and white fur typically spend ten days longer in an animal rescue centre than those with other markings, while they are also more likely to become strays. However, the news provider also noted that tuxedo cats make up around 75 per cent of all our feline friends around the world. It also noted that their colouration is due to cell mutation, with the white patches caused by areas where not enough pigment spread through the cat’s cells in the womb. Regardless of what colour your cat is, you’ll want to make sure you give them the best possible nutrition, so it’s worth investing in cat health supplements to keep them in top shape. Battersea Dogs’ and Cat’s Home recently appealed to people to adopt their next cat or dog, with the charity noting that a rising number of pets being put up for sale on social media is making it difficult for them to rehome animals, as well as increasing the number of dogs and cats that are abandoned.